Part four of the Christmas cookie extravaganza! These are sliiiightly finicky cakes to make – but only in that the dough is very sticky and sort of melts between your fingers as you handle it, so it’s important to keep it in the fridge at all times, when not slicing the logs into think discs of dough, right before baking. 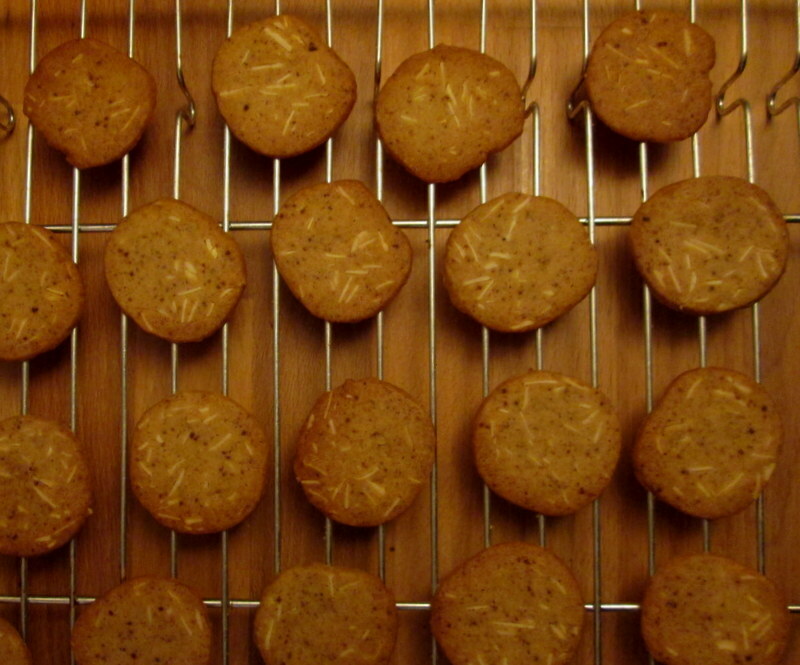 But the result is a super crispy, aromatic cookie that just melts in your mouth. I decided to make these because they’re my mum’s favourite, and I’m glad I did, they are super yummy! Even though the original recipe calls for dark syrup, I only had light (golden) syrup, and they still turned out perfect, just slightly lighter than the traditional ‘brunkage’ (brun means brown, as in ‘brown cookie’ 🙂 ). 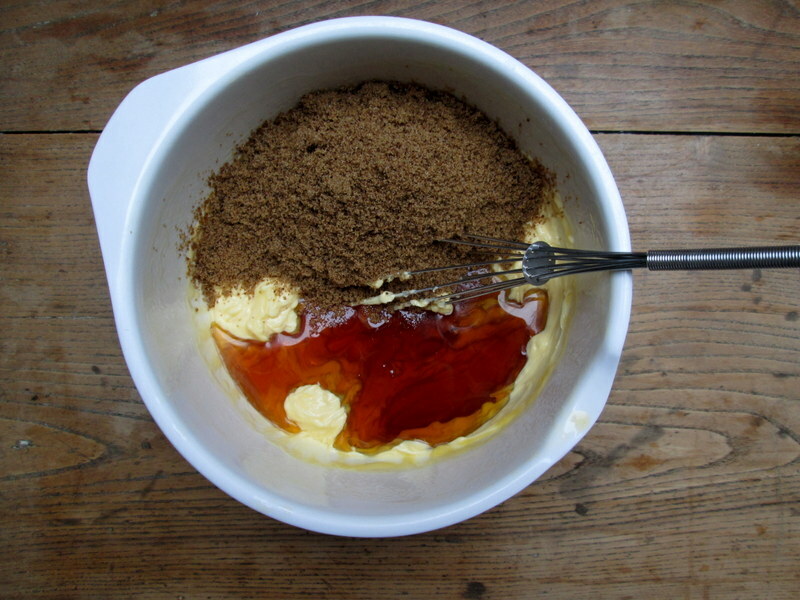 Lots of recipes use golden syrup though, and in any case, a good amount of brown sugar ensures a nice caramel hue and flavour! A cookie’s a cookie by any shape. 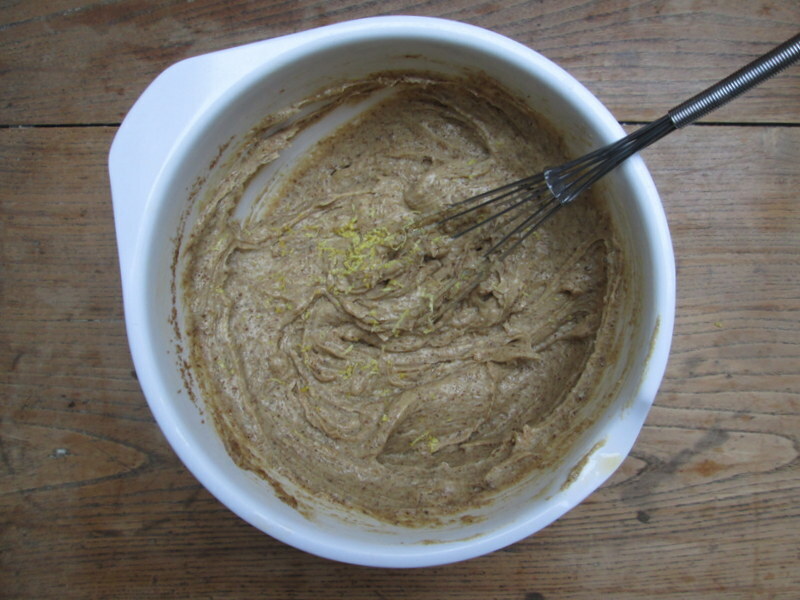 In a large bowl, mix the soft butter, syrup, sugar and the tsp of water. Add the lemon zest. 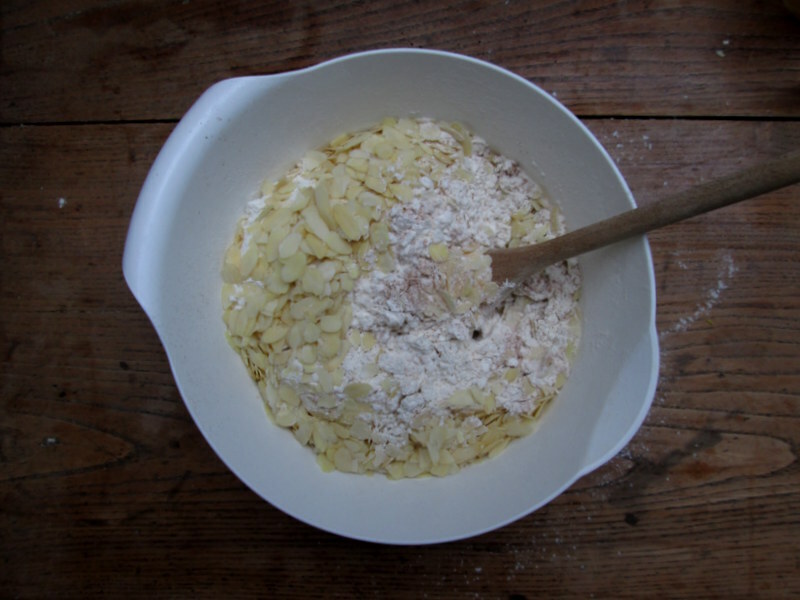 Sift together the flour, baking soda and spices, and add the almonds. 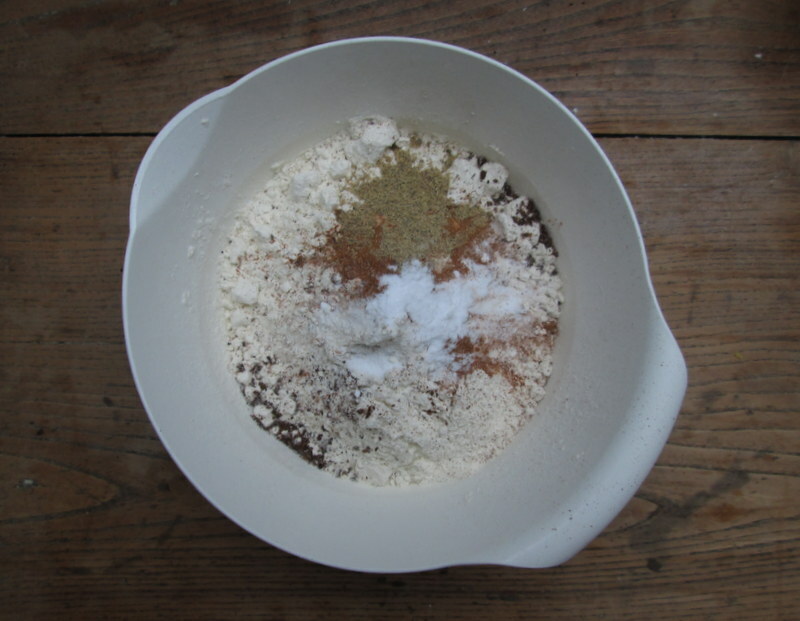 Add the flour mixture to the wet ingredients and stir with a wooden spoon until all the flour has been absorbed. The dough will be super sticky; stick it in the fridge for at least 30 minutes. 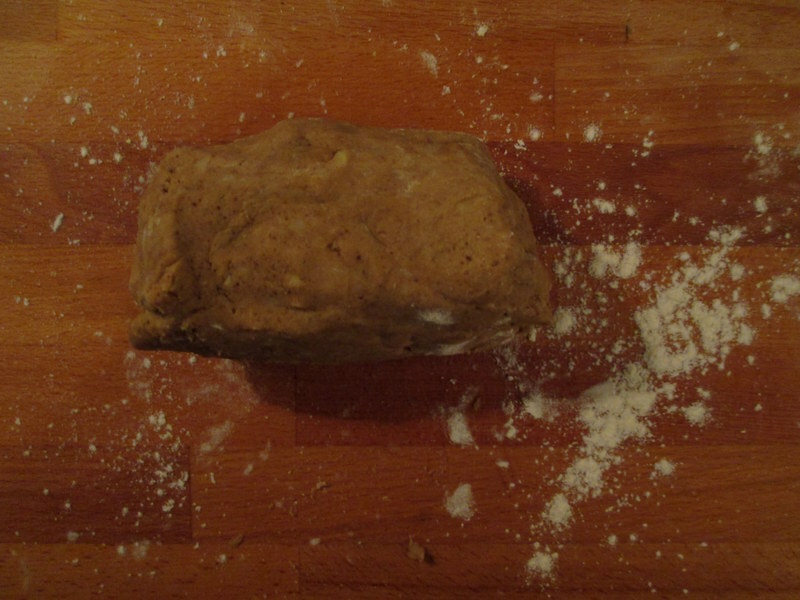 Once your dough has been chilled, flour a work top/cutting board, flour your hands and scoop out about 1/4 of the dough, pressing it into a dough ball. 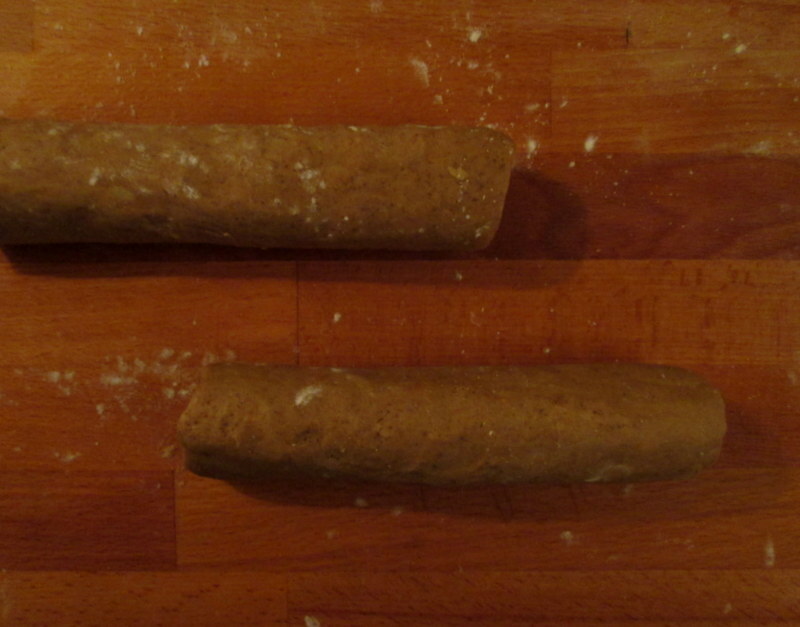 Sprinkle a bit more flour on top of the ball, and roll into a log. 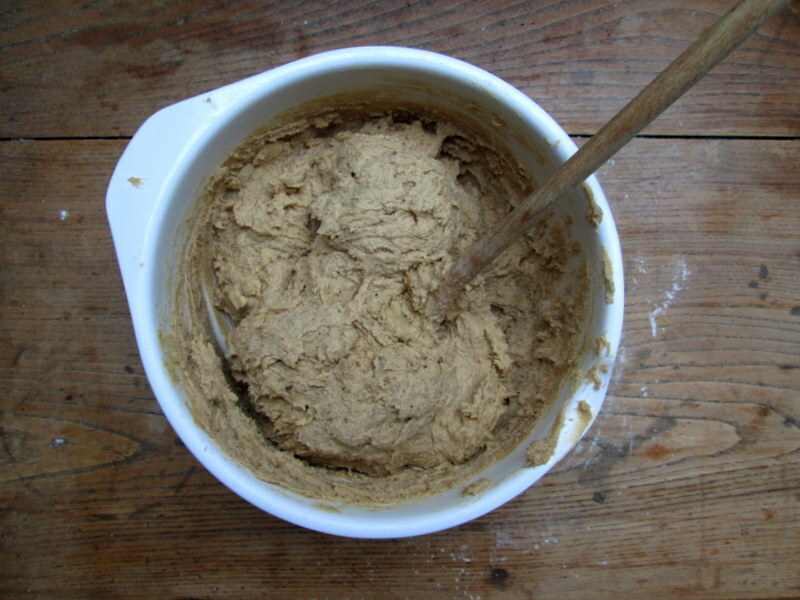 Place on a cutting board, and repeat with the remaining dough. Put back in the fridge for at least 30 minutes. Bake for about 8 minutes until golden, but keep an eye on them! Because they’re so thin, they will burn and turn too dark very, very quickly (if you’re using dark syrup keep an even closer eye, as it’ll be trickier to see if the cookies are getting too dark). 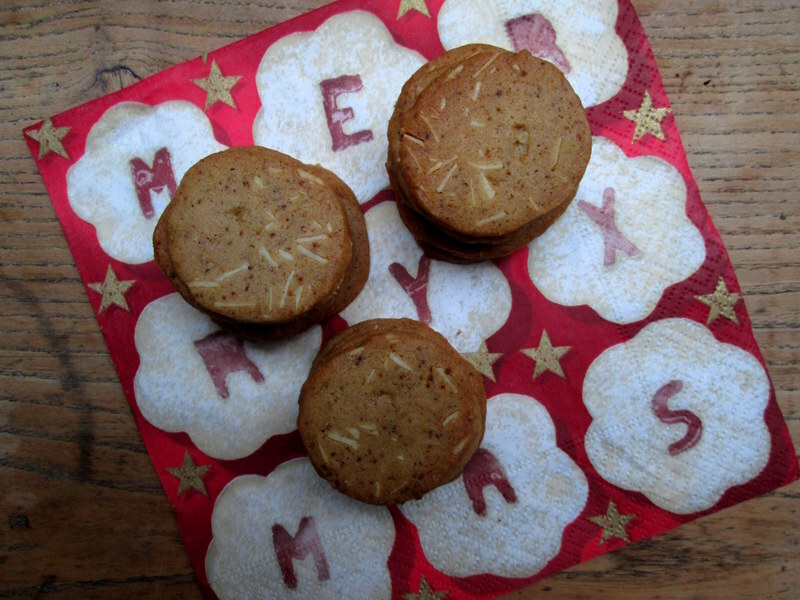 Pull the baking parchment with the cookies still on it onto a cooling rack. Wait until the cookies are completely cool before peeling them off the baking parchment and transferring to a cookie tin. Yield: a lot! 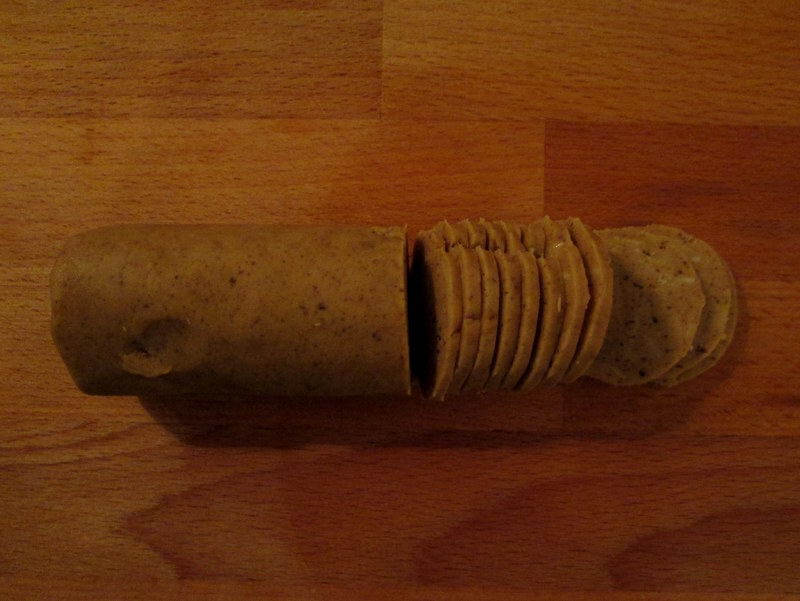 I still have a couple of logs in the fridge, I would guestimate 140-160 cookies. P.s. 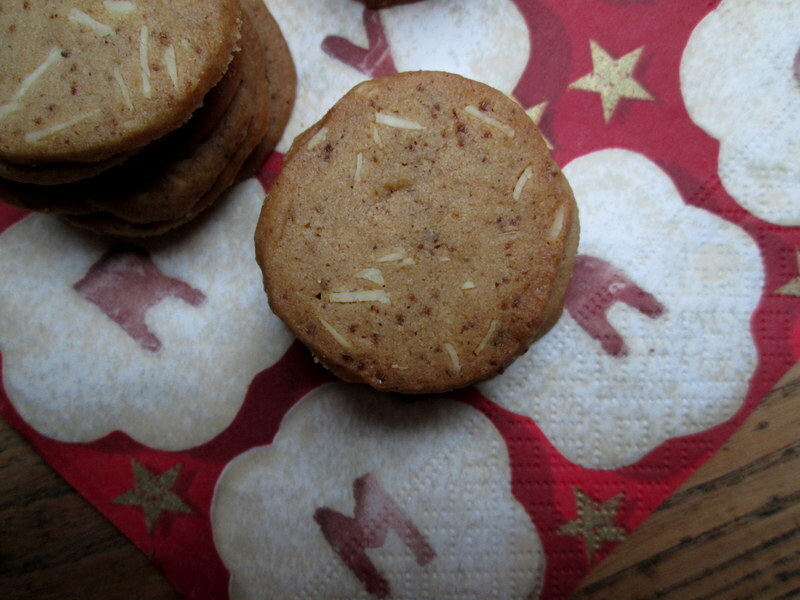 : The little dark spots you can see in the baked cookies in between slivers of almond, are the ground cloves! I couldn’t get any that were ready-ground, so I ground them up myself, resulting in the cloves being less finely ground. I really like the effect, and also very much the aroma they give, not too strong at all, but very, very aromatic!